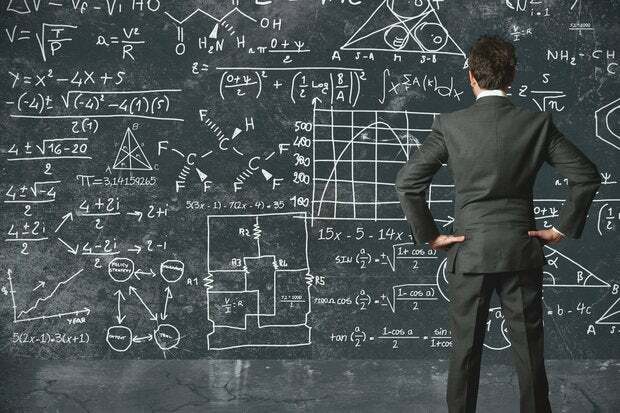 If you work with data much, you don’t need a statistical model to predict that the odds of consistently getting data in the format you need for analysis are pretty low. Those who do a great deal of data cleaning and reformatting often turn to scripting languages like Python or specialty tools such as OpenRefine or R.
But it turns out that there’s a lot of data munging you can do in a plain old Excel spreadsheet — if you know how to craft the proper formulas. You can extract the year, month and day into separate fields from a date field in Excel by using formulas =Year(CellWithDate), =MONTH(CellWithDate) and =DAY(CellWithDate). Splitting dates this way — by year, month and day of month — works in Microsoft Access as well, Webster said. In addition, you can also get the day of the week for any date in Excel with =WEEKDAY(CellWithDate). The default returns numbers, not names of the days of week, with 1 for Sunday, 2 for Monday and so on. To display the name of the weekday instead of a number, apply a custom format to the cells with the weekday numbers, using Format cells > Custom; then type ddd in the Type text box to get three-day abbreviations or dddd for the full day name. Note that the years unit returns ages in whole numbers and does not round up. Sometimes you need data in a format with one row for each observation, but what you already have comes with multiple observations for each row instead. In Webster’s example of Affordable Care Act Exchange plan pricing, there is a column for prices in each age group: 1-20 years old, 21 years old, 22 years old and so on. However, some visualization and analysis tools require one row for each plan/price combination, not one row with multiple prices. Sometimes you need data in a format with one row for each observation, but what you already have comes with multiple observations for each row instead. Here’s one way to resolve it. Tableau visualization software is one such tool that needs one data point per row, not multiple data points per row, so the vendor created a Tableau Reshaper Tool that works with recent versions of Excel on Windows. You can download this free tool from the Tableau website. Although one add-in says it’s for Excel 2010, it worked fine with Excel 2013 on my Windows 8 PC. Several CAR attendees said they’ve spent hours reshaping large data sets by manually cutting and pasting, and the free Tableau tool will save them a lot of time. You don’t need to have other Tableau software installed on your system to use it. The columns you’re keeping as row ID columns should be placed on the left, and all your data columns on the right. To use the reshaper tool, put your cursor on the first cell with data that you want transformed. 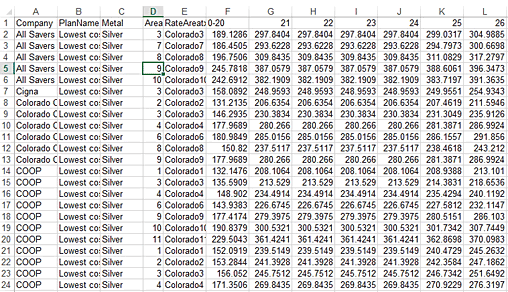 Then go to the Tableau menu and choose reshape data. Say OK. You can watch a brief example below. Another common data format problem is when you get a “spreadsheet” that’s less like a sortable table of data and more like a Word document with column headers. One example: a spreadsheet with the name of a team on one row followed by all the players on that team, then the name of another team right below followed by the players and so on. It’s difficult to analyze a worksheet where column headers are interspersed with data, since you can’t easily sort, filter or visualize data by team. One way to deal with this is to add a new column with the team name for each player. It’s difficult to analyze a worksheet where column headers are interspersed with data, since you can’t easily sort, filter or visualize data by team. One way to deal with this is to add a new column with, in this case, the team name for each player. That says: If cell B3 is blank, fill in the value of the cell in the first column of the same row (in this case A3). 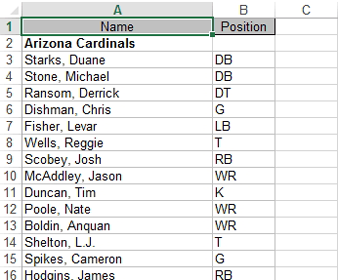 Otherwise, fill in the value from the cell that’s just above it (in this case C2, which should be the team name from the row above for all the player rows). Make sure to start with the first player row after having manually entered the first header row.